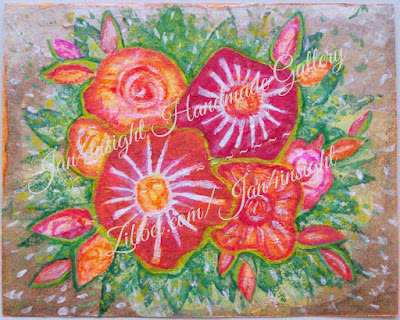 Also known as "Tricia's Flowers," this mixed-media art piece depicts a vibrant bouquet of orange flowers and green leaves with a hint of shine and glitter. It was inspired by a friend who loved the color orange, and is created in her honor. 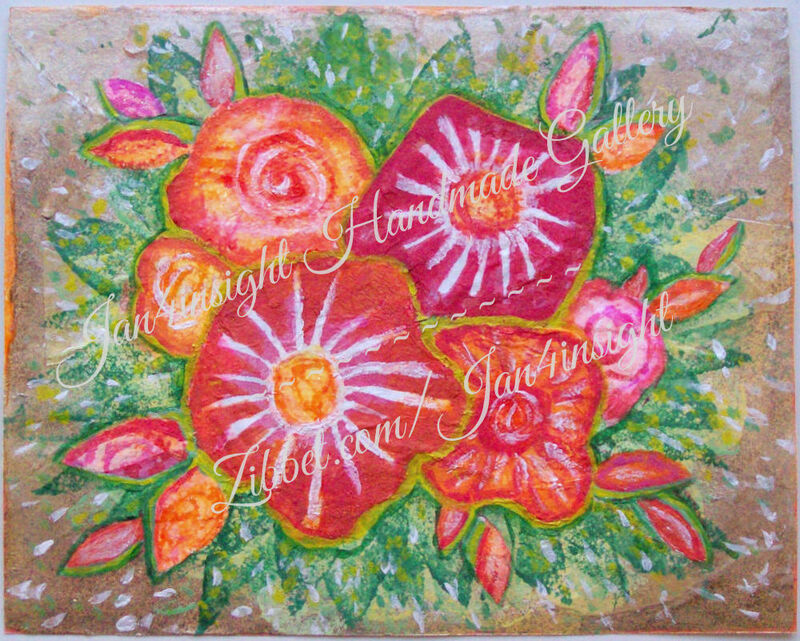 This original work of art measures 10 x 8 inches and looks good displayed either horizontally or vertically. It's listed at my Zibbet store.